The San Diego region will celebrate Memorial Day on Monday with memorial services, a 5K run, a blood drive and a parade, among numerous events. Political leaders from all sides took note of San Diego’s unique role in the military and asked the region’s residents to remember the fallen and be grateful for their service. “The San Diego story is in many ways defined by our military’s presence and tradition, both past and present, and Memorial Day is a sacred time to remember those we’ve lost,” said Rep. Scott Peters (D-52), who was scheduled to speak at several events on Monday. 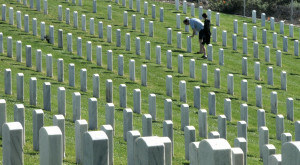 “This weekend, as we observe Memorial Day, remember our heroes and be sure to show support for their families. We are grateful,” said Rep. Duncan Hunter (R-50), in a statement on his Facebook page. 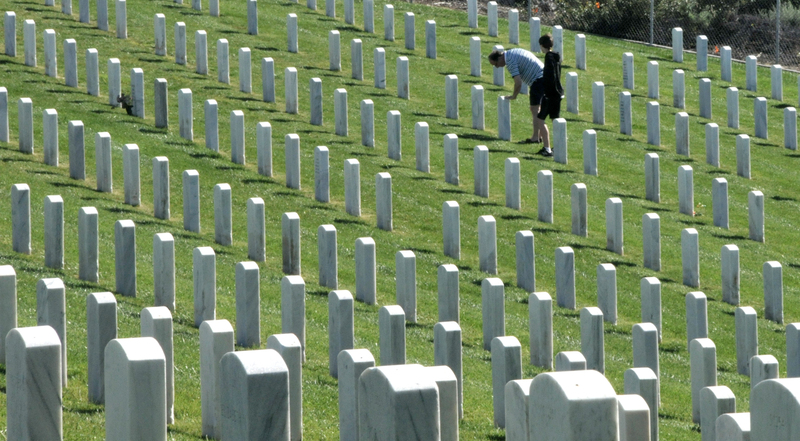 A 10 a.m. service at the Fort Rosecrans National Cemetery near the tip of Point Loma. The 68th Annual Memorial Day Service and reading of names at the Veterans of Foreign Wars post in Lakeside beginning at 9 a.m.
Also at 10 a.m., the Veterans Association of North County will hold a ceremony at its building, at 1617 Mission Ave. in Oceanside. At 7 a.m., the Explosive Ordinance Disposal Warrior Foundation will hold a 5K run/walk and 1K kids run as a fundraiser at NTC Park in Liberty Station. At 10 a.m., a blood drive will get underway in the parking lot of the USS Midway Aircraft Carrier Museum, sponsored by radio stations 100.7 Jack FM and KFMB AM. At 10:30 a.m., the Kensington Holiday at Home Parade will march down Marlborough Avenue between Palisades Street and Adams Avenue.